Thank you to Katie, Amy, and all of the wonderful people at Joe Huber’s Family Farm & Restaurant! Youth 1 Mile or 1/4 Mile: $10 (includes shirt-through 6/6 at 1:00 PM EST) Free online registration (NO SHIRT-through 6/6 at 1:00 PM EST) $10 Race Day Registration. 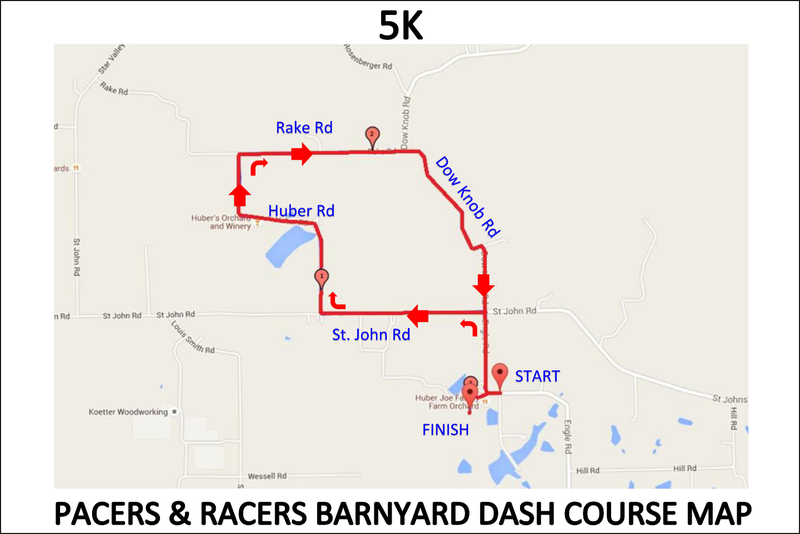 First 400 registrants guaranteed T-shirts prior to race; all others may pick up their T-shirts at Pacers & Racers after July 5th. 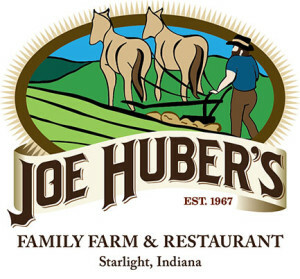 Discount coupons for Joe Huber Family Farm & Restaurant to all participants. Splits called at every mile marker. Water at two points on the course. 1st Place male and female 10K Run winners and 1st Place male and female 5K Walk winners will receive a free pair of New Balance shoes plus $100 cash each! 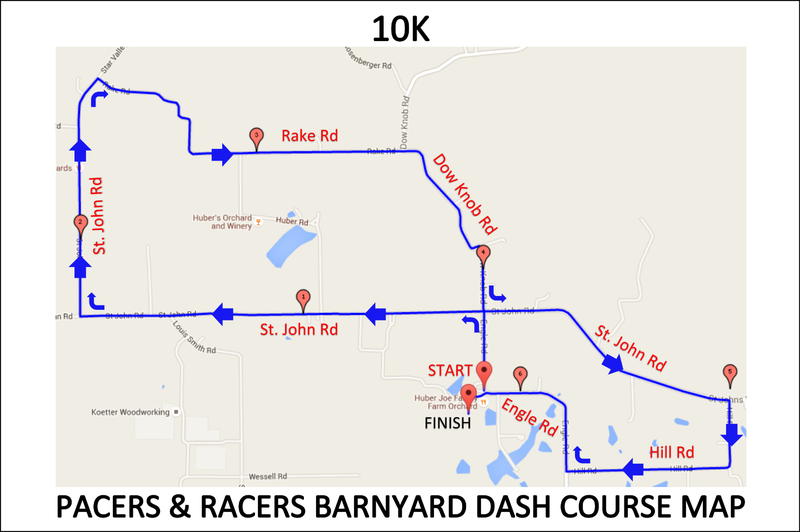 1st Place male and female 10K Run Masters (age 40+) and Grandmasters (age 50+) Winners receive $25 cash each. 1st Place male and female 5K Walk Masters (age 40+) and Grandmasters (50+) Winners receive $25 cash each. Three deep Age Group Awards (male and female in 10K run, non-gender in 5K walk in 12 age groups). $25 cash for breaking any 10K Barnyard Dash Age Group record.